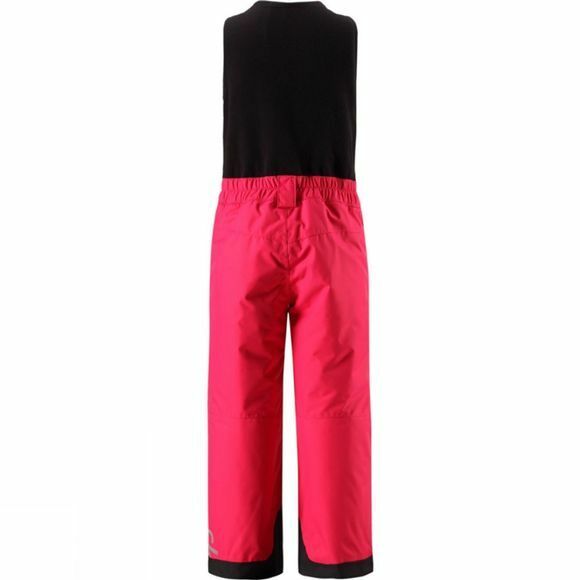 The Reima Oryon winter pants are designed for active kids and action-packed winter outings! All the seams in the lower part of these kids' completely water- and windproof pants have been taped and the upper part is made of softshell-like material with elastic shoulder piece. The material is also breathable so it does not sweat during active outdoor fun! These super winter pants are made of very durable material and equipped with a full-length zipper in front and two zip pockets. 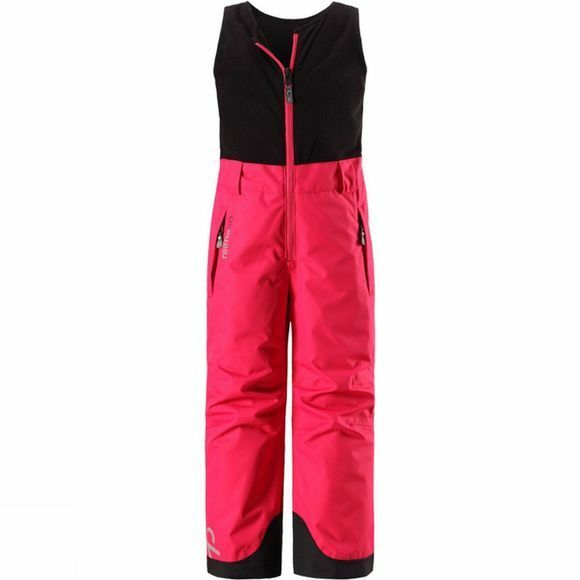 The straight cut pants are ideal also for the slopes–the leg ends easily fit boots for skiing or snowboarding. The snow locks in the leg ends keep snowy and cold surprises at bay while skiing or building snow castles and you can also attach the snow locks to the leg ends to avoid them from slipping under the shoes. The pants do not have adjustment possibility at waist but there are belt loops at the waist and a fixed elastic tightening at back. Improved zip structure–no more stuck zips! Other Water pillar tells the height in millimetres of a water column exerting enough pressure to penetrate the material. A value is given in mm.